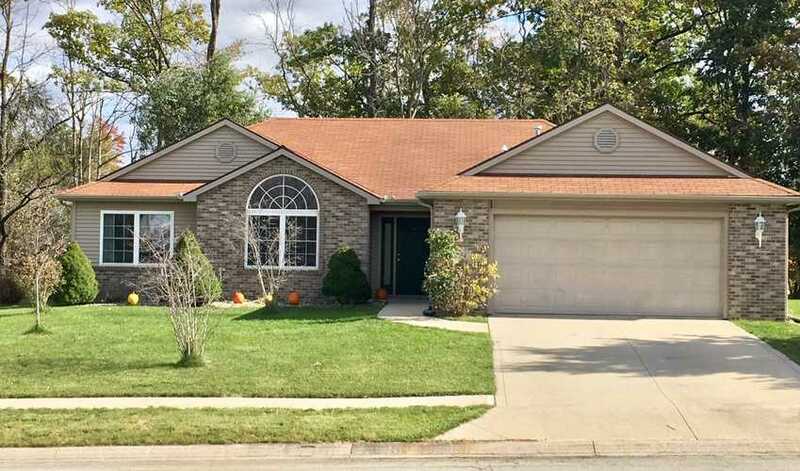 Don't miss your opportunity to purchase this great 3 bed 2 bath home in Northcrest Park. A great location close to shopping, walking trails, YMCA and so much more. Boasting a large eat in kitchen and open concept living area with vaulted ceilings and picture window overlooking a unique private backyard with beautiful wooded scenery. Watch the deer, turkey and other wildlife from the kitchen that opens up to the concrete patio. Updated appliances including washer and dryer all stay in this custom built home with amazing upgrades that include the brick exterior, brushed nickel hardware, and marble vanity in the master bath. The home also features a custom built bookcase and high quality Copper River cabinets throughout. Schedule your appointment today!